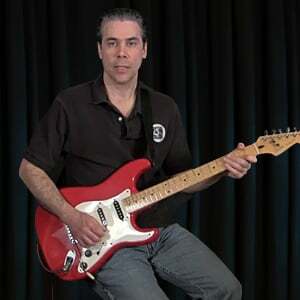 In this ten lesson set, Anders Mouridsen will guide you through all the elements of the classic rock song "China Grove", as made famous by the Doobie Brothers. Anders will explain the tone and effects, and the truly classic main riff. He'll then take you through the pre-chorus, chorus, and bridge; followed by the solo and the chords underneath the solo. He'll finish off by teaching you the outro, and play it all through in a final performance. Mike will show you the 3 guitars in this song. 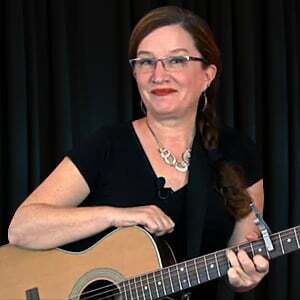 Guitar 1 is an acoustic guitar that lays a steady strumming foundation for the tune. Guitar 2 is a clean electric guitar that adds some strums and arpeggiations to help build the arrangement. Guitar 3 is a crunch electric guitar that plays some vibey lead guitar.